Use any coffee in your Keurig Coffee Machines! Self tamping spring extracts a better cup of coffee or tea. Simple to use and reuse! Simple to use and reuse! 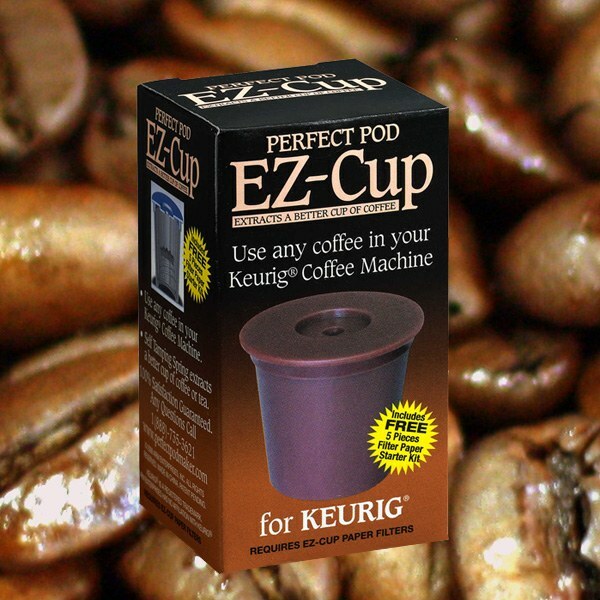 Just place paper filter in center of EZ Cup, fill it with your favorite coffee grounds, then insert it in your Keurig machine as you would a K-Cup.